ANNUAL CONTRACTS and NEW "NO CONTRACT" FREEDOM PLANS - - CLICK HERE!!!!! Bush pilot Will Johnson's engine died in mid-flight, deep in the wilds of West Alaska. Fortunately, he was able to glide his aircraft to a gentle and safe landing. Unfortunately, he was stranded hundreds of miles away from his family, stuck in the middle of the rough Alaskan wilderness. 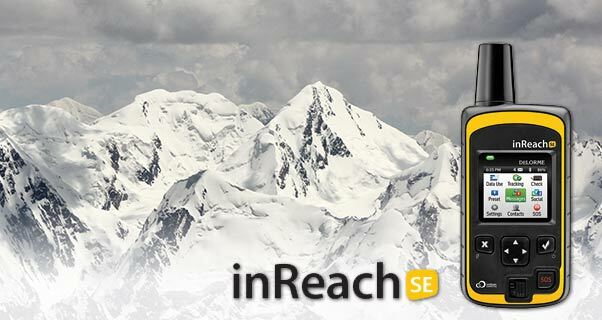 However, thanks to inReach, he was able to send a text message to his wife immediately after stepping out of the plane. "ENGINE FAILURE. ALL OK". His wife was even able to pinpoint his trek across the tundra to the nearby village of McGrath. With inReach, you are always in contact with your loved ones. Even if hundreds of miles of wilderness separates you. Read more about this amazing tale in this Anchorage Daily News article, written by Zaz Hollander.